In our detailed Rolex review, we ask the most frequently asked questions about Rolex to address the concerns that people have when considering to purchase a Rolex. 1. 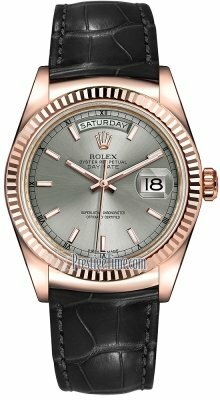 What Movements Do Rolex Watches Use? Rolex actually uses quite a few different mechanical movements. In case what you mean is: "Does Rolex use battery-powered Quartz movements?" the answer is no. They only produce watches that use mechanical calibers powered by springs. 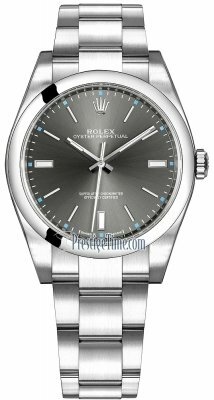 There was a time long ago when Rolex produced the Rolex Oyster Quartz which had a battery but they have almost immediately stopped producing this watch. Nowadays, all Rolex watches are mechanical and use either automatic (self-winding) movements or in some cases, a manual wind movement. 2. Are Rolex Movements In-House Movements? Yes. However, it is important to note that there was a time when Rolex selectively used 3rd party movements. 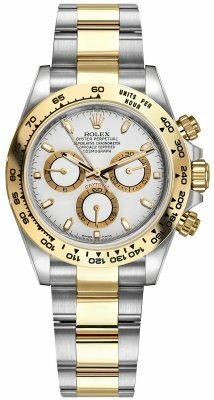 A good example was the Rolex Cosmograph Daytona which at one point in history used the iconic Zenith El Primero caliber since it was an incredibly precise chronograph movement and still is. Rolex has since switched their manufacturing to be completely in-house and manufactures all their own calibers. 3. Who Makes Rolex Watches? Rolex SA is the most recent official corporate name for the business entity that makes Rolex watches. Previously, it was also called by the following names Rolex Watch Company and Montres Rolex SA before it received the current company name. 4. Who Owns Rolex Watches? The Rolex company is a subsidiary of another company of theirs called Montres Tudor SA. The companies are owned by a privately held family trust called the Hans Wilsdorf Foundation which is a charitable organization named after Rolex's founder Hans Wilsdorf who together with another man named Alfred Davis co-founded the Rolex company. Yes. Rolex watches are genuinely Swiss Made watches. The company was founded in London England in 1905 not long afterward moved their headquarters to Geneva Switzerland. 6. Where Are Rolex Watches Made? Rolex watches are manufactured in four different plants in Switzerland. 7. Where Are the Rolex Manufactures Located? The various factories and headquarters are located in Switzerland. Geneva - Acacias: The Rolex World Headquarters. This building is used by the management team, Research & Development teams, design team, sales, and customer service. In addition to these corporate activities, it is where the final assembly and quality control of every Rolex watch takes place. Plan-les-Ouates site in Geneva is where Rolex manufactures the various cases and bracelets. Here is where they conduct all metallurgy and casting of the various metal components. Furthermore all the finishing on these components. The foundry is also located here and this is where the various 18ct gold alloys are made. These alloys are used in their white gold, yellow gold, and their rose gold watches which use a proprietary pink-gold alloy called Everose. Bienne, Switzerland (also known as the Bienne site) The Rolex manufacture is where Rolex produces their movements. All the calibers are assembled by hand as well as hand-regulated by the facility's over two thousand employees. Manufacturing processes used at this facility are in fact so precise that the level of precision is within only a few microns of deviation. Chêne-Bourg is another site in Geneva where all the dials are manufactured. In addition to creating dials, this high-tech facility is used for the gemology where they examine the quality of and grade the precious stones used in the construction of many Rolex models. The setting of these precious gems also takes place in the Chêne-Bourg site. 8. How Good Are Rolex Watches? Rolex makes very solid watches. Their movements are incredibly accurate and their cases are very durable. 9. What Are Rolex Watches Like? Rolex makes many different kinds of watches and can be loosely classified as versatile luxury tool watches. Their watches fall into many categories but generally, you can divide them into Sports watches and classic models but also have some models other types of adventurers as well as scientists. Aviation watches: These are geared toward pilots, aviators, frequent flyers and other aeronauts. Motorsports watches: These watches are made for competitive racing professionals such as racecar drivers etc. Diving watches: Such as diving professionals, diving instructors, competitive swimmers, and those who engage in other subaquatic activities. 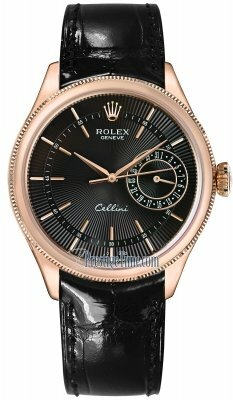 Classic watches: many collections with classic watches such as a watch for a black tie affair or formal attire. 10. How Are Rolex Watches? They are not cheap, that's for sure. So, are Rolex watches worth it? They are sturdy and durable watches which have excellent accuracy regardless of what model you chose. They are instantly recognizable by pretty much everybody. They have many, many styles from which to choose. 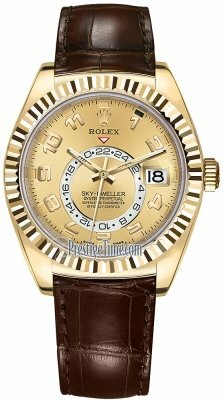 Below are the most current collections of Rolex watches. Click on any of the images below to browse through them. 11. How Accurate Are Rolex Watches? The watch experts at Rolex assemble all the various components which go into a Rolex caliber and regulate the movements to ensure the highest precision. Just how accurate is a Rolex watch? Well, every Rolex watch receives the highest 3rd party designation for a watch's accuracy. This designation is called a Chronometer. This Chronometer designation is awarded to a watch movement after being tested by COSC (Contrôle Officiel Suisse des Chronomètres), the Official Swiss Chronometer Testing Institute. A COSC certificate is given to Chronometers to prove their accuracy. However, Rolex isn't happy with the -4/+6 seconds per day accuracy that a COSC certificate ensures. After the calibers are returned to Rolex from COSC with a COSC certificate, Rolex does further testing, in-house while the caliber is in a watch case and regulates them even further until they achieve an accuracy of -2/+2 seconds per day. That's at least 200% more accurate than a COSC chronometer. Only after the watch is this accurate will Rolex give the watch a second designation called Superlative Chronometer. 12. 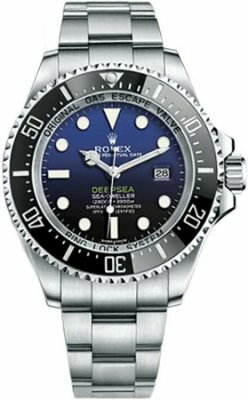 Are Rolex Watches Reliable? Yes, they are some of the most reliable watches on the face of the earth. 13. 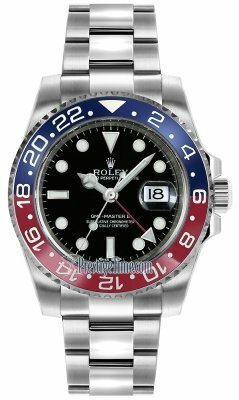 Are Rolex Watches COSC Certified? 14. Are Rolex Watches Luxury? They are luxury watches indeed. Rolex isn't considered high-horology or 'Haute-Horlogerie' as the industry calls it when compared to brands such as Audemars Piguet, Vacheron Constantin, and Patek Philippe. One of the reasons for this is because they don't produce any high-complication watches ...yet. Watchmakers that produce these super complicated 'Grande Complications' watches tend to get this title. 15. Why Are Rolex Watches So Expensive? Actually, Rolex watches aren't the most expensive watches in the world. They're well priced for what you get. Furthermore, they hold their value better than any other watch brand. Yes, they are definitely the most known "expensive" brand. Consider this: Some of the most expensive Rolexes have a 5 figure price tag which is a lot compared to watches that cost only a few dollars or even a few hundred dollars. However, there are many brands that have watches that have 6 and 7 figure price tags. That said, yes they are a luxury watch brand and they are expensive but compared to other brands they are definitely NOT the most expensive watches. 16. How Much Do Rolex Watches Cost? 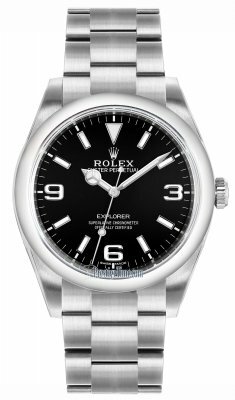 The most affordable Rolex watches start at a list price of about $5,700 but you'll find discounted Rolex prices on our website on just about every Rolex with few exceptions. The most expensive Rolex watches which are not auction pieces go up to a list price of about $82,500. 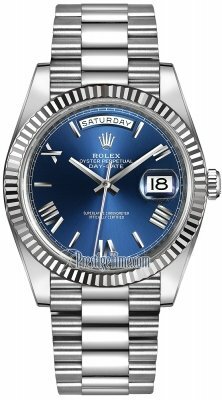 Most recently a Rolex Day-Date 40mm made out of solid platinum was introduced and has an ice-blue dial like all platinum Rolex watches and comes with a diamond bezel. The price tag that is just north of $100,000. Will Rolex watches appreciate? Read further to find out. 17. 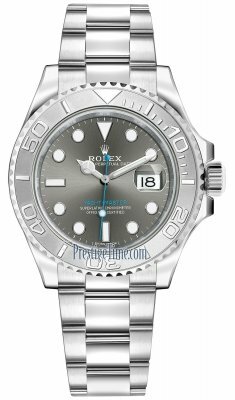 Do Rolex Watches Offer Good Value? That entirely depends on how you measure the value in a watch. If all you need to do is tell accurate time, you can technically do that more effectively with a $10 battery powered watch. Accurate watches are one of the rare exceptions where you don't necessarily get what you pay for. With mechanical watches, Rolex is arguably the most accurate there is. They truly go above and beyond when it comes to precision. However, if you're looking for an excellent tool watch such as diver's watch, yes. Very few diving watches can compare with the best Rolex has to offer. If you're looking to wear an impressive watch yes a Rolex has excellent value. If you are looking for a watch that you can give away one day as a family heirloom, Rolex might be just the brand for you. If you're looking for a watch with an excellent warranty, Rolex possibly has the best in the business. 18. Do Rolex Watches Hold Their Value? Yes. On average they hold their value better than any other brand. 19. Which Rolex Watches Hold Their Value the Best? 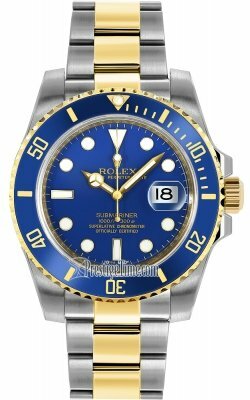 Generally, the sports models such as the Submariner, Daytona, Deepsea, Explorer, GMT Master II, and Yachtmaster have the best resale value and it is possible that this is because the demand for these models is greater than most of the many other more classic Rolex models. 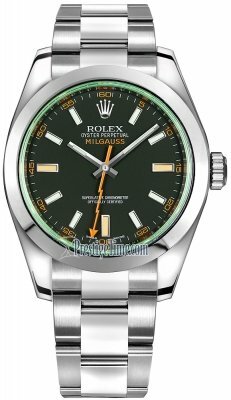 However, most Rolex watches will on average retain a higher percentage of its original purchase value at the time of sale when compare to watches from other brands. Are Rolex watches a good investment? Some models will sell for even more than their original purchase value. Though this is not common, it does happen from time to time. 20. 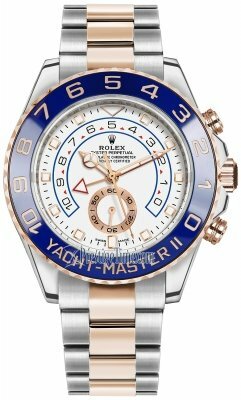 Can You Buy Rolex Watches Online? Yes, use the button below to browse and shop their watches.